Max Dreyssig, human skeleton, sits in the South Australian Museum in its Biodiversity Unit, a bluebird perched on his hand. Max Dreyssig, the man, was born in 1850 Germany, and moved to Australia in 1874. He died in the North Adelaide Private Hospital in 1913, two weeks following surgery at the hand of one of the age's great medical professors, Doctor Archibald Watson. Pulling together what little we know about Max's life, this story examines his relationship with the inimitable Professor Watson and the reasons for him leaving his home in Germany following the Franco-Prussian War, in which he fought. His was a time when the old world, Germany, became a newly confederated European powerhouse and the new Australian city, Adelaide, led the world in political reform and medical experimentation. Giving pony rides to children along Adelaide foreshores during his final years, Max lived alone but was never lonely. 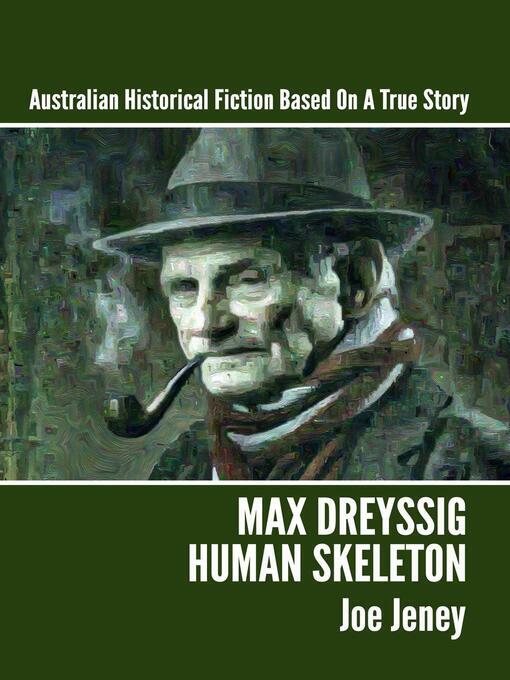 Max Dreyssig, Human Skeleton, the story, finally gives 'ole' Max Dreyssig' a voice - and a heart.